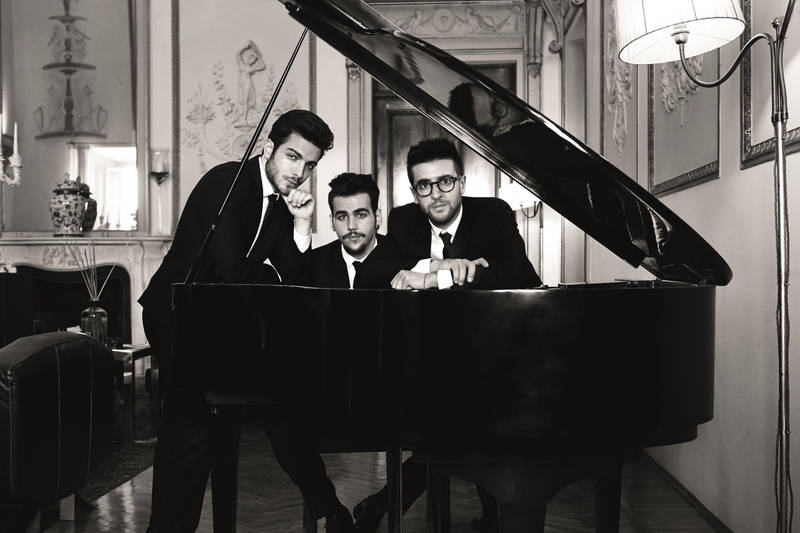 The only Italian act that has achieved worldwide success on all continents and among all generations, the operatic pop trio consisting of baritone Gianluca Ginoble (24) and two tenors, Piero Barone (26) and Ignazio Boschetto (24), will perform in front of the Dubrovnik Cathedral on 1 August on the occasion of the seventieth anniversary of the Dubrovnik Summer Festival. Croatian appearance of the popular Italian trio is organised by the City of Dubrovnik, the Dubrovnik Summer Festival and Star produkcija as part of their world tour entitled MUSICA TOUR in which they are promoting their album Musica (Sony Music). All those who attend the concert will enjoy a spectacular production and programme that will turn a lovely summer evening into a truly unique musical experience. Four years ago, IL VOLO won the Sanremo Music Festival with the song Grande amore, with which they appeared at the Eurovision Song Contest in Austria later that year and won third place. They appeared at the Sanremo Festival again this year with the song Musica che resta and won third place. Although they are commonly compared to The Three Tenors and find those comparisons flattering, they don’t really enjoy them because they strive to be unique. Their potential, however, was discovered by none other than one of The Three Tenors, Plácido Domingo, with whom they collaborated on the project Notte Magica. The project was, among other things, a tribute to the original Tenors, Domingo, Carreras and Pavarotti. Il Volo thus became the first Italian act that was granted permission to perform their repertoire. - We already had the opportunity to visit Zagreb, but we have to admit that we are especially excited to see Dubrovnik, which we heard was beautiful. We hope we will have time to take a walk around and get to know the city - says the famous trio, who already performed in Zagreb in December last year. This summer Dubrovnik celebrates the seventieth anniversary of one of the oldest and most prestigious European festivals - the Dubrovnik Summer Festival. On this big occasion, over 80 theatre, music, ballet and other programmes will be presented to numerous domestic and international audiences during 47 days of the Festival. Apart from concerts of Il Volo and Tom Jones, this year's programme includes appearances of many prominent artists from Croatia and abroad, such as Yuja Wang, Ivo Pogorelich, Luka Šulić and the Mariinsky Ballet.